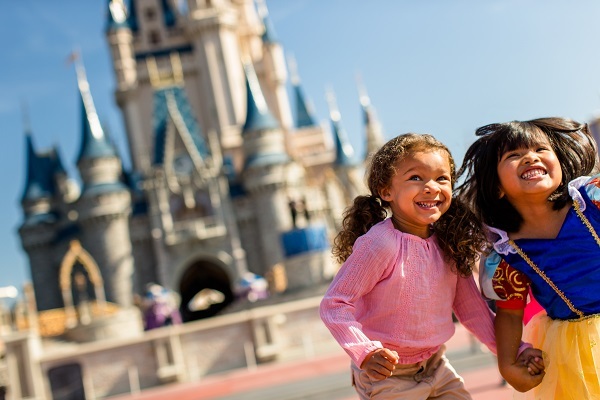 If you’re selecting one of our convenient, money-saving vacation packages, your Walt Disney World Theme Park Ticket is included. But if you’re planning to purchase your tickets separately, what do you do? What length and options would be best for you? Looking to take in the magic of Walt Disney World your way? Here’s a ticket that gives you the flexibility to customize your tickets to suit your needs. And the more days you choose, the more you’ll save money compared to the purchase of individual tickets. Now that’s magic! Select the number of days you would like to visit a Walt Disney World Theme Park. For guests who want something more, add-on options are available. Step 3 – Add Options to your Disney Theme Park Ticket for even more fun! Park Hopper Option – Adding the Park Hopper Option to visit more than one Disney Theme Park on the same day follows the same valid use period in the chart above. Park Hopper® Plus Option – Add the Park Hopper Plus Option to include visits to a Disney Water Park and other attractions – along with the ability to visit more than one Theme park on the same day. This option also extends the period of time within which you may use your ticket by one day. For example, a 6-day ticket with the Park Hopper Plus Option with a start date of November 1, ticket is valid any 6 days from November 1 – November 10. 1Water Parks are subject to rehabilitation, seasonal and weather closures. 2Greens fees for one round of golf. Tee times required and are subject to availability. 3Valid for one round. Round must start prior to 4:00 p.m. Only one miniature golf course visit per day. Only one miniature golf course may be open from time to time and courses are subject to weather closures. 4 Valid only on event days. There are no events on certain days; some events require an additional admission charge. Days and hours of operation of concessions, venues and attractions varies based on event schedule. Visit espnwwos.com for more information. 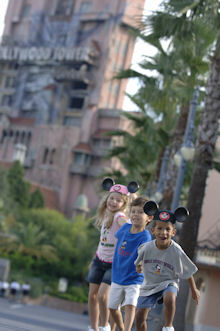 The Magic For Less Travel offers Walt Disney World ticket purchasing as a complimentary service. No handling fee is imposed by us, and no charges to the credit card will be made by The Magic For Less Travel. All charges will be made through Disney and tickets will be sent directly from Disney to our clients. Shipping and handling fees, if any, are required by Disney. **Please note, that we do not sell one or two day tickets individually.